The fate of likely Republican presidential nominee Donald Trump is now (virtually) in your hands, thanks to Surgeon Simulator. 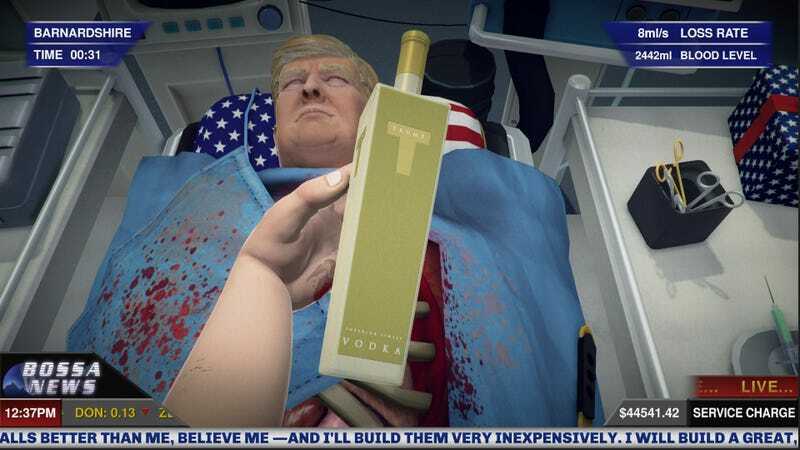 The Donald Trump stage is part of the launch for Surgeon Simulator: Anniversary Edition, which comes with updated graphics, new environments, additional achievements, stat tracking, and more. The developers are also keeping track of whether people give Trump a gold-plated heart or one made of stone. So far, stone hearts are winning.